Whether it’s wood flooring restoration, repair, refinishing, or installation, you can count on Duffy Floors. Founded in 1927, Frank H. Duffy, Inc., remains a family-owned business with three generations of flooring expertise. Customers continue to count on honest quality craftsmanship. Duffy Floors keeps up to date with the latest advances in the industry. Dustless equipment and state-of-the-art staining techniques continue to wow homeowners. Working one-on-one with customers, Duffy eases their anxiety and is a full-service flooring contractor you can count on. 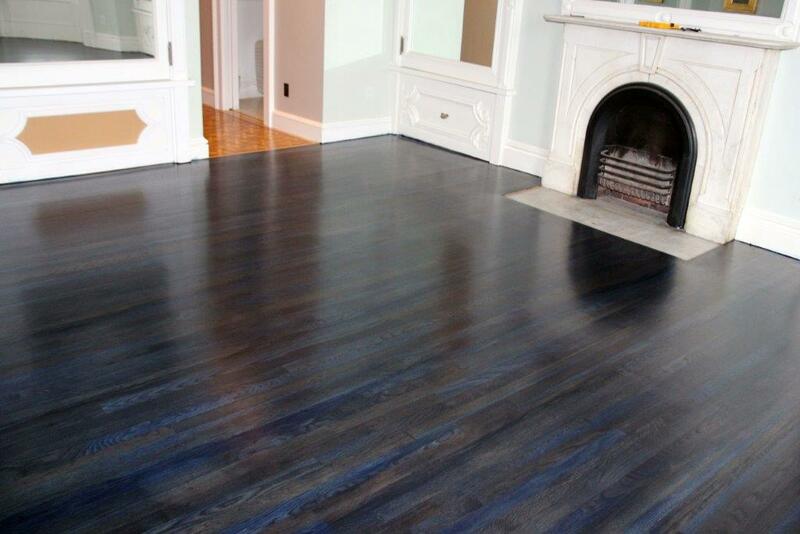 Serving Boston and points north and west, Duffy Floors is available for any hardwood flooring needs, from restoration, repairs, refinishing, installing, staining, or waxing. 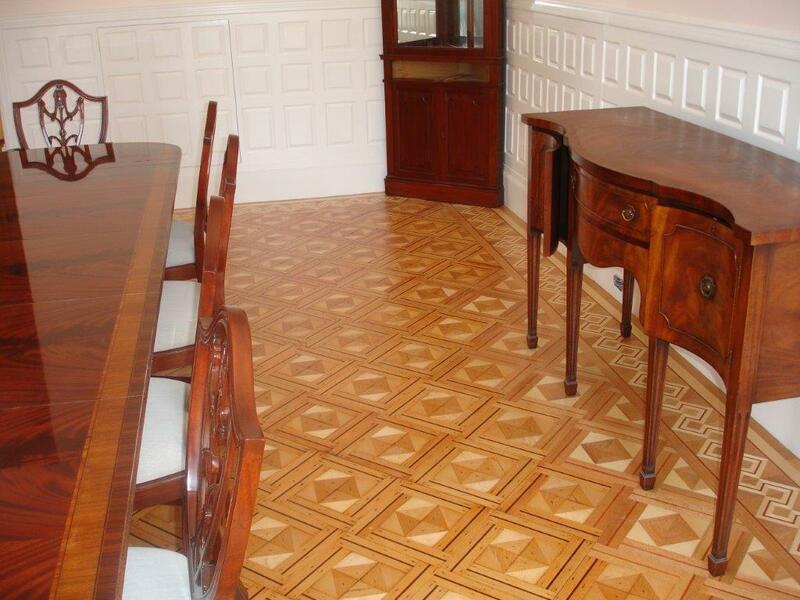 This is a patching job, recreating a parquet pattern to match the existing hardwood floors. 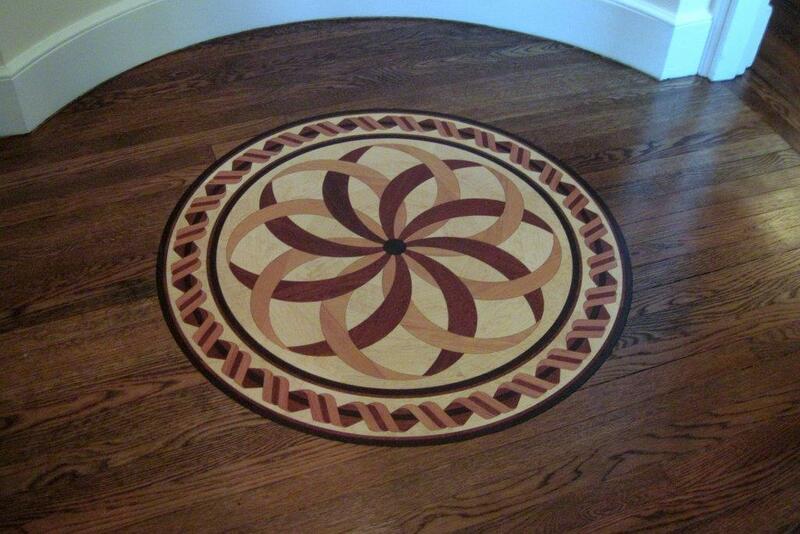 A medallion in-lay was installed in a stained, quarter-sawn, white oak flooring. The Estancia medallion contains American Cherry, Birdseye Maple, Merbau, and Wenge woods. 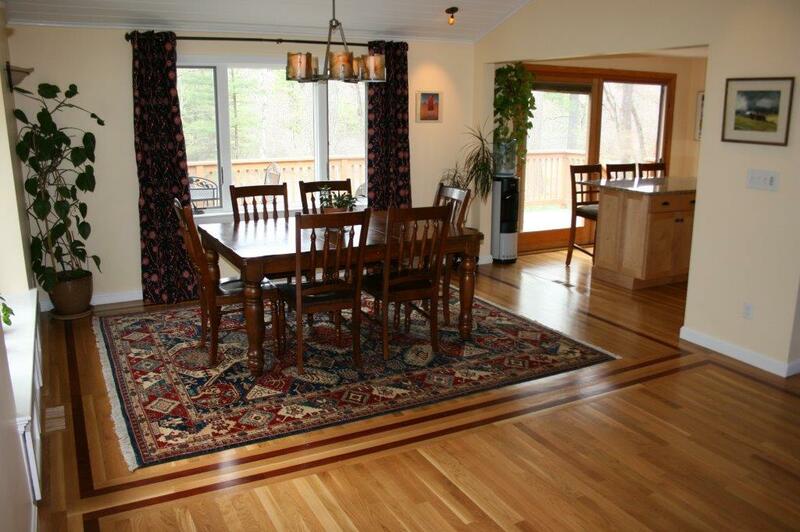 Maple flooring was refinished with a custom gray stain mix. 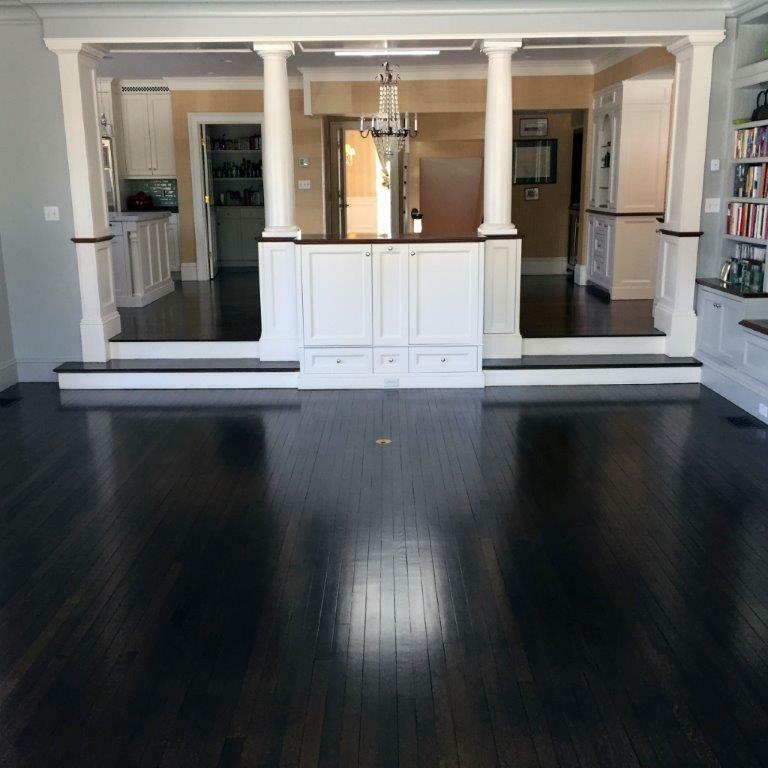 These quarter-sawn white oak floors were installed, refinished, and then dye and stain were applied to create the deep dark color. 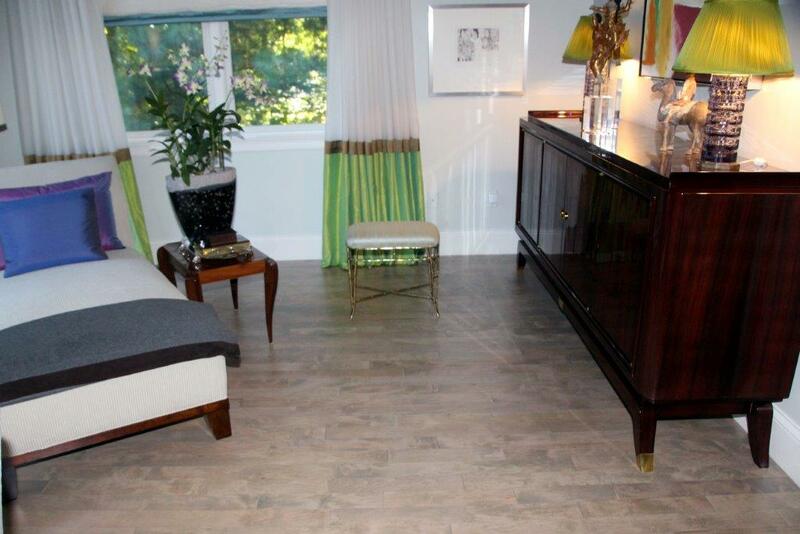 These white oak floors are complemented with a Brazilian Cherry feature strip/in-lay. The floors have a coating of natural polyurethane. 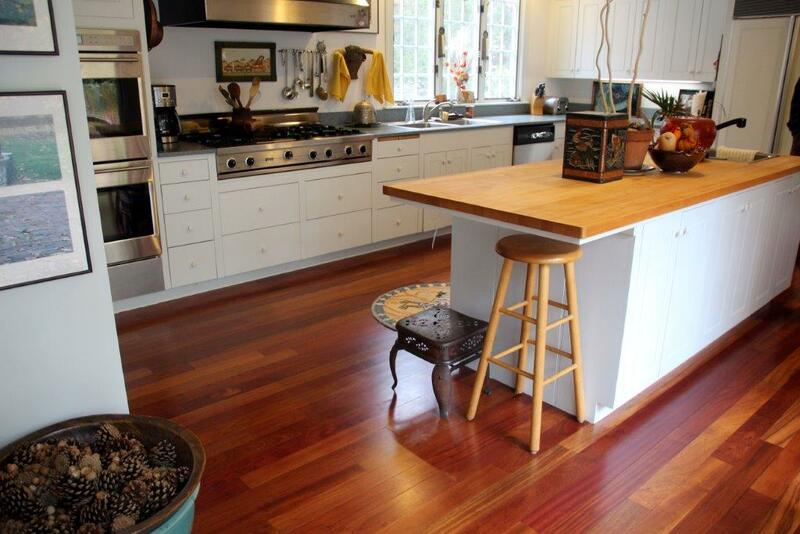 These Brazilian Cherry kitchen floors were refinished and a coating of natural polyurethane was applied. 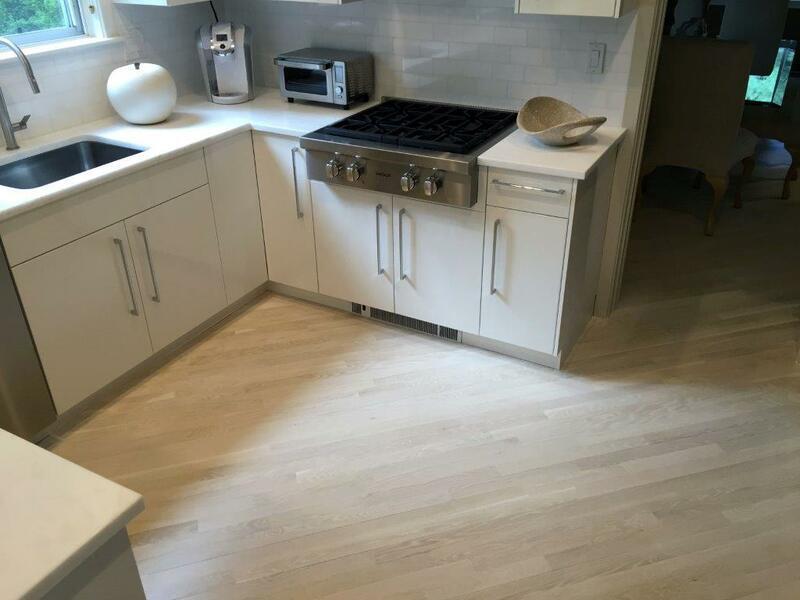 These white oak kitchen floors were refinished with a coating of white stain. These white oak floors were installed and refinished before a coating of midnight blue stain was applied. Follow Duffy Floors on Twitter, Instagram, Facebook, and LinkedIn. For more information, call Duffy Floors at 781-395-3418, e-mail duffyfloors@gmail.com, or visit duffyfloors.com.